Have you seen the cover to our updated Family handbook? You might have noticed three words front and center: Discernment. Agency. Empathy. While these words are new to Thrive Public Schools, the ideas behind them aren’t. And we think that they are just the right words to encompass where we are taking our students. Thrive is a community of creative innovators. 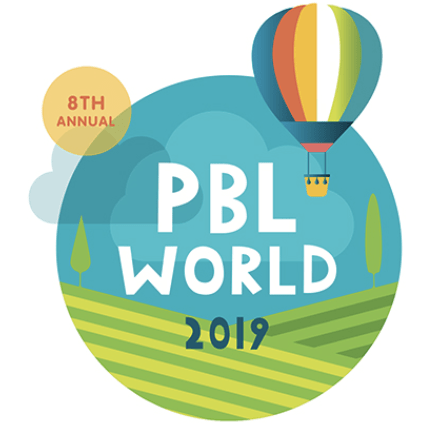 We’ve spent four years pushing the boundaries of public education and iterating on what’s working until it’s phenomenal (read here about our work on PBL & SEL). What we noticed is that each of our teachers and leaders were becoming experts in particular practices. We were just bubbling up with pockets of expertise across our campuses. What did those practices have in common? In a variety of ways, we were asking our students to become wiser in their choices, more active in their community, and kinder to themselves and others. Discernment. Agency. Empathy. And it was working. We needed to name it. So we did. We also asked ourselves which practices were truly fundamental to these results. Here’s where our house metaphor comes in. When we think about houses in all their variety, we can still come back to some common elements: places to sleep, to prepare food, to sit in community, to respond to our hygiene needs. So we took an inventory of our practices. We observed classrooms. We talked to teachers and students and families and leaders. And we iterated. We spent a year iterating, asking ourselves, what will Thrive guarantee, what will we promise to all our families and our students about learning and being in community at Thrive? How will we ensure that all of our students leave with greater discernment, agency and empathy? We narrowed our promise, our Thrive Guarantee, to dozen student experiences that we think make up the best we have to offer. We have planned our teacher professional development to ensure that our internal experts can share their expertise in these practices and so that we can all grow where growing’s needed. We’ve laid the foundation for our common Thrive house. Our commitment to our community is that each of our students will experience these aspects of learning – at all of our sites, in all of our grade levels and that we will support our teachers in leaders in developing the pedagogical expertise to facilitate these experiences. Our teachers and leaders are excited about the Thrive Guarantee and how it’s taking shape in our classrooms and on our campuses. 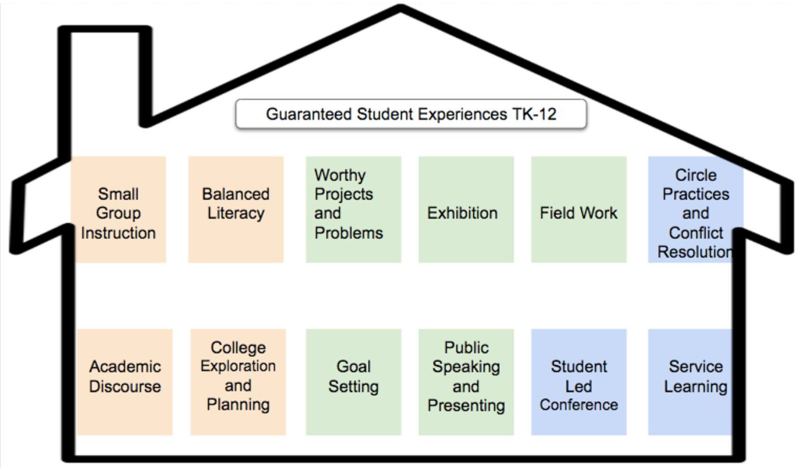 The below (short) glossary here is a good introduction to (or way to deepen your knowledge of) the guiding ideas behind our guaranteed student experiences. The house is built. Our next step is to open the campus gates and welcome students back to school. After all, it’s the people that make a house a home. We recognize that in a culture of false news, catfishing and immediate gratification that a typical pedagogy of “know, understand and do” is insufficient. We need to equip our students to sort through an outpouring of information, teach them to tell truth from fiction, and help them build the strength of character to make sound decisions. Both the European Journal of Science and Mathematics Education and Hamilton College, a liberal arts college in New York, name discernment as key to an undergraduate education. Thrive believes that in equipping young people to be discerning, we are helping to build thoughtful, competent members of society. Thrive believes that all people should be known, seen and valued. 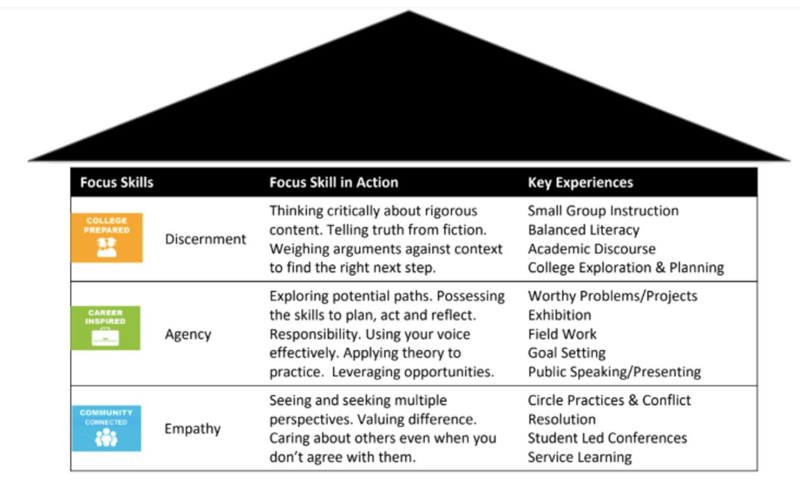 Agency is the skill students need to know, see and value themselves. It is the ability to speak up. It is the belief that one’s self is deserving of care and attention. The concept of agency is so central to the story of humankind; it is those with the agency to act despite oppressing circumstances (Harriet Tubman, Nelson Mandela, Cesar Chavez, to name a few) that have, by their example and their sense of responsibility, challenged us to be better than what society expects of us. Agency, at its most foundational level is our ability to affect change in the world—it is through agency that we create and access opportunity. Thrive utilizes small group instruction throughout the day in a variety of forms. Leveraging technology and cooperative learning strategies effectively allows some students to work independently or with others as the teacher pulls small groups for direct instruction. We also use small groups to facilitate academic discourse (e.g., Socratic seminar), PBL collaboration, and opportunities for extension. Thrive uses a balanced literacy model to incorporate explicit language instruction with independent learning and language exploration. Balanced literacy is the backbone to our English, Social Studies and science instruction. It incorporates 1) reading instruction; 2) guided reading; 3) independent reading; 4) Writer’s Workshop; 5) word work; and 6) listening and speaking. In all content areas, students engage in text-based discussions. They consider the sources of their information, the bias of the author and validity of the information posed by the texts. They participate in both organic conversations about the content they are learning, and structured exchanges of information such as pair-shares, circle conversations, debates, interviews and presentations of learning. They acquire the academic vocabulary to speak precisely about the content they are studying. Students learn about the colleges in their immediate communities, visit college campuses and begin to picture themselves there. Middle and high school students unpack the concept of ikigai – the intersection of what you love, what you’re good at, what the world needs, and what you can be paid for. They become familiar with their own strengths and interests as well as the colleges that are the best match for their career dreams. Thrive is committing to ensuring that every student who graduates from our high school has the option to attend a four-year college, and the discernment and agency to decide the right college and career paths for themselves. As our students engage in projects, they are challenged to grapple with real issues that are faced by real people, and the products they create are used to affect change in the lives of those people. At all grades and in all contents, Thrive students’ project work matters to the students engaged in it and the very real audience the products are intended for. Students also focus on tuning and creating beautiful work. At Thrive, Exhibition is a celebration of learning. Two to three times a year, students are expected to speak spontaneously on the content of their learning, the process of critique and revision, and the significance of their learning in the greater academic and community context. Field work goes beyond the typical school field trip. Students travel into the community to interview experts and community members.They learn about the professional and historical context of that their project work falls in and they see professionals in their workplaces. Through this process, students collect baseline data on the worthy problem their project will engage with and begin to discover how they can help be part of the solution. All Thrive students are taught the skill of goal setting. Students set goals for literacy, numeracy and social-emotional growth. In middle school, students begin setting longer-term goals that will help them prepare for high school. In high school, goal setting is expanded to include goals for college and career. Students learn how to dress, prepare for, and speak at professional engagements and how to field difficult and unscripted questions from a mixed audience of parent, student, educator and community stakeholders. They practice these skills throughout the year in the classroom setting, and put them to the test during Exhibition. We use circle practices to help our students hone the skills of speaking and listening from the heart through the practices offered by Responsive Classroom and Council. We also help students see that their choices, both positive and negative, have natural consequences. We also use logical consequences to help students navigate their choices. At Thrive, we wanted our students to learn to exercise choice, take responsibility for their learning, and do their best work. SLC’s are held twice a year. Students prepare samples of their work to share with their parents and teacher and outline goals and accomplishments. The conference becomes highly interactive, with the student, parent and teacher all sharing insights in a positive way. Service Learning is a pedagogy that combines classroom instruction, engaged student learning, meaningful service in the community, and personal reflection. Whenever possible, service learning is tied to the fieldwork students are exploring in preparation for engaging in worthy problems. Additionally, individual school sites use holidays such as Martin Luther King Day and Cesar Chavez day as an opportunity to connect service to the greater concept of social justice. This post was originally published on the Thrive Public Schools blog. Next articleWhat Do Broad EdTech Trends Mean for Your School District?